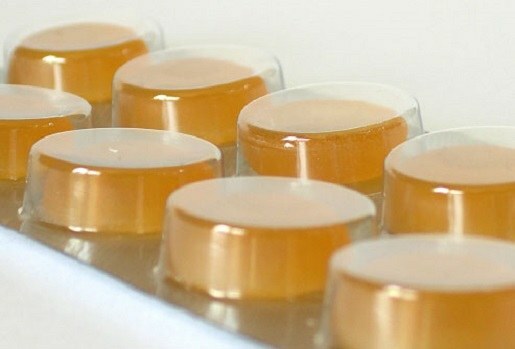 Cough lozenges are very popular, because it is delicious and easy-to-use medicine. But among the whole range of medical difficult to choose candy that was tasty and effective. So when you buy the cough drops you need to know some nuances. Lollipops are perfectly cope with the coughing, but this does not mean that they are able to heal it. It is important to understand that these are pleasant to the taste of candy are only an auxiliary tool in the fight against cough. This tool is designed to to relieve coughing, and have a slight healing effect. If the cough prevents you from sleeping or you are in transport or at the meeting where I can give vent to his cough, in these cases, the candy is your salvation. When resorption drops increases salivation and decreases sore throat, so the cough is receding. The most common cough drops are "Travisil", "Strepsils", "Doctor", "Doctor", "Stopangin". They soothe coughs, relieve sore throat, but still, buying this cough drop, take a look at its composition. If you want to get well soon, choose lozenges with zinc, known for its antiseptic effect. But the zinc has a pleasant taste, so these lollipops need to take some taste, for example lemon, which promotes active salivation. Therapeutic effect have candy, which is licorice, Horehound, mint, eucalyptus, anise. Those who could not get rid of a cough, suitable lollipops with sage, which promote the excretion of sputum. There are also licorice lozenges, which perfectly soften the throat and relieve irritation, while they are cheap. Be careful with menthol lozenges. Sometimes it is too much, and after resorption there is a feeling that the respiratory icebound. If you have time or a cough medicine for children, the medical lozenges can be made at home. There are various recipes, and you can choose the best, focusing on individual taste preferences. In cough lozenges contains a lot of sugar, so they are contraindicated for people with diabetes. People who are prone to allergies, before use, candy must find out whether in their composition of allergenic substances. Pregnant women also must be careful to use this tool, because it may contain substances that have a negative impact on the development of the fetus, so before applying you need to consult with your doctor. In other cases, it is necessary to observe the dosage recommended on the package. We should not forget that cough lozenges – it's still medicine, not candy. If used in large quantities, very soon be addictive, and their effect will not be any.